The market for Electric Cars in India has very less or no competition, the buzz of Electric Cars has not yet struck in the markets and one reason for that is, the government isn’t providing any subsidy or reduction in taxes for the electric cars which makes the car priced expensive and out of reach for the common man, you can read our detailed study of future of electric cars in India article for more reference. This year, there is the list of Electric cars that are going to be launched and some have already been launched. The electric car is an alternative fuel automobile that uses electricity instead of petrol or diesel. These cars are energy efficient and are capable of reducing city pollution because of the zero tailpipe emission. 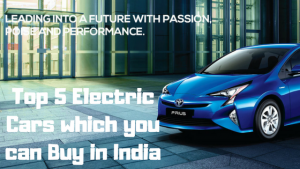 We are managed to find Top 5 Electric Cars which you can Buy in India. Here we are comparing models based on their battery range and top speed. 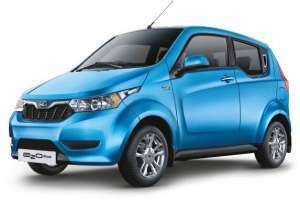 The e2o was Mahindra’s first electric car and now it is replaced by Mahindra e2o Plus. This car has some great features such as Regenerative Breaking and REvive, the Regenerative Breaking allows you to charge your car every time you press the brakes. How is this possible? Each time you hit the brakes or the times when you don’t use the accelerator, the kinetic energy of the car is converted into electric energy and charges the electric car. The REvive helps negate range anxiety by giving you additional kilometers in case you run out of charge. You can access REVive by contacting us from the car’s dashboard or by using the e2oPlus app. This car comes with three variants P2, P4, P6. The P2 variant has the large driving range i.e 140km whereas other two has 110km. The P2 variant also supports fast charging which charges your car in just 1HR 35MIN, the top speed which you get with these cars is 80KMPH which is pretty low. The cost of this car in India is about Rs 7.17 lakh. 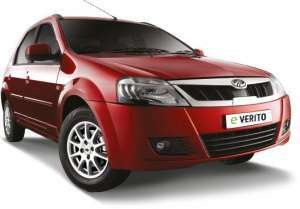 eVerito is another electric car from Mahindra, it is based on the platform of Verito which is available is petrol and diesel. Since it is the electric car it has a lot of boot space of 510L. This car also has the feature like e2o Plus such as REVive and Regenerative Breaking. This car comes with three variants C2, D2, D4, and D6. The D2, D4, D6 variants have the large driving range i.e 140km whereas other has 110km. The all eVerito variants support fast charging which charges your car in just 1HR 30MIN, the top speed which you get with these cars is 86KMPH which is pretty low. The cost of this car in India is about Rs 9.5 lakh. The Toyota Camry Hybrid is based in the platform of Camry which is available in petrol and diesel variants. It is one of the most luxurious electric cars that you can buy in India but it’s not the pure electric car. The newly developed hybrid electric vehicle’s exclusive 2.5 L Beltless Engine with an electric motor gives a total power output of 205 PS. The Camry Hybrid Electric Vehicle produces just 122.8 gm of CO2emissions/km, a lot lesser than conventional cars. It has 205 PS power but still, it has the good mileage of 19.16kmpl because of its electric motor. The cost of this vehicle is 37 lakhs which is a lot expensive than Tesla Model 3 which is purely electric car and it has lot more features than Camry has but since Tesla Model 3 is not available in India this is better option to buy around 37 lakhs. The Toyota Prius is another hybrid car from Toyota, With two power sources working in efficient tandem, Toyota hybrid electric vehicles ensure a superlative driving experience. Irrespective of the weather and driving conditions, the hybrid electric system works intelligently to switch between these sources. The Toyota Prius has 142Nm of torque, this car is specially made for low emission cause. The cost of this vehicle is 45 lakhs which is also a lot expensive than Tesla Model 3 but as we said we don’t have many electric options in India. Now, this is a very expensive option to choose for an electric car, An entirely new concept of a sports car. More efficient – for example, due to intelligent lightweight construction with carbon and aerodynamic design. More sustainable – with highly efficient BMW eDrive technology and recyclable materials in the interior. Without forfeiting dynamics and its sporting appearance. No compromises, but instead the optimum combination of driving pleasure and responsibility. The BMW i8 is a plug-in-hybrid that brings together the advantages of innovating electric motor and combustion engine technologies. The result is an extraordinary driving experience – with extremely low consumption and low emissions. The cost of this car is Rs 2.61 cores which a lot expensive and even after spending this much of money, you get battery range of 37km which is very less. This is pure sports car which goes from 0-100 km/hr in just 4.4 sec. Its carbon fiber body is one of the reasons why this car is so expensive so this car is not for everyone. honestly, none of the above cars is the proper electric car, but there are no more options available in India. If possible then it is better to get Tesla from other country but that will cost you a lot, almost double the car price. Automobile companies which are there in India have a lot of scopes to launch the electric car in India. The government should also take more steps towards electric cars like subsidies and all, you can read our potential of the electric vehicle in India article for more reference. If you have any doubt regarding this article, let me know in the comment section beolw.